You can rely on us to assist you promptly when you have an emergency situation. If you have ever experienced an electrical problem, you know how scary and stressful it can be. 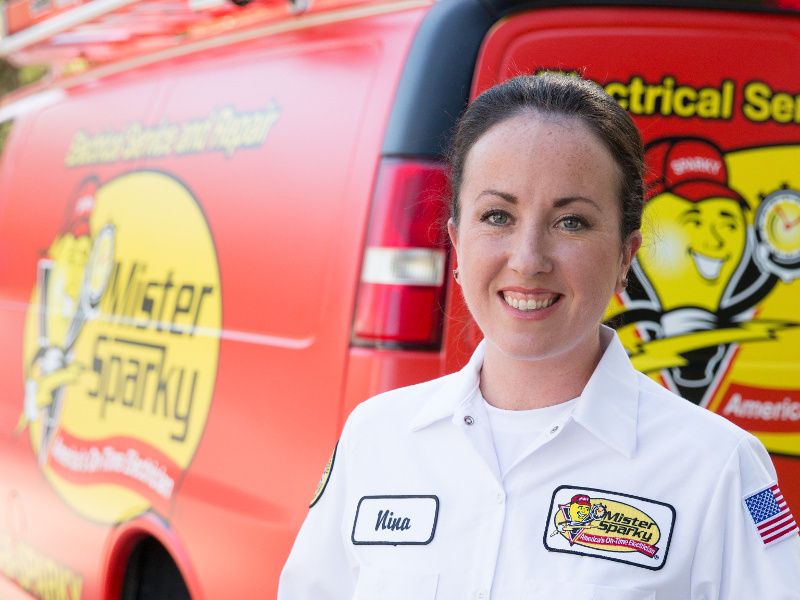 Not only can it be difficult to determine where the problem started, but you may also need extensive repairs in order to get your electrical systems working again. At Mister Sparky by Wise Electric Control Inc., we understand that when you have an electrical emergency, you can’t wait to resolve the issue. That’s why, when you need an emergency electrician, we provide 24/7 emergency services to meet your needs. 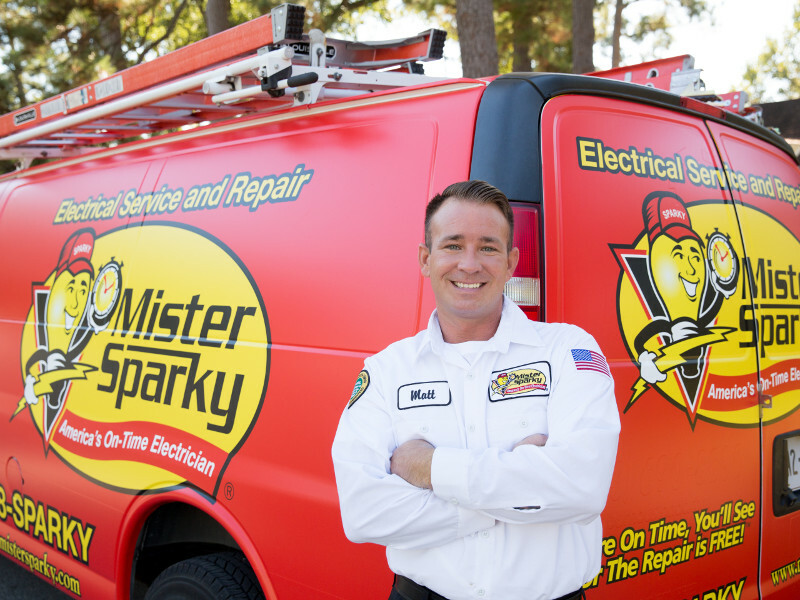 At Mister Sparky by Wise Electric Control Inc., we believe your safety is critical. So, even if you have called an emergency electrician, there are several important steps you should take in the event of an electrical emergency. Feel free to discuss any of these when you call if you are unsure how to properly safeguard your family. Call 9-1-1 if anyone has been electrocuted. Do not touch anyone who may have been electrocuted, especially if they are still connected to the power source. Turn off the electricity if possible – this may involve flipping the breakers on your electrical panel. Often this is best accomplished by flipping the main switch to cut all power to the home. If you cannot turn off the electricity, move live objects away from you with something that does not conduct electricity such as Teflon, rubber, glass or paper. Protect yourself and others at all times in the event of an electrical emergency. While we certainly hope you are never in this situation, you can rest easy knowing that our licensed electricians are prepared to assist you when you experience an electrical emergency. You can call us any time, day or night, and we will work to assist you and resolve the problem. We are the EMTs of the Electrical Businsess! 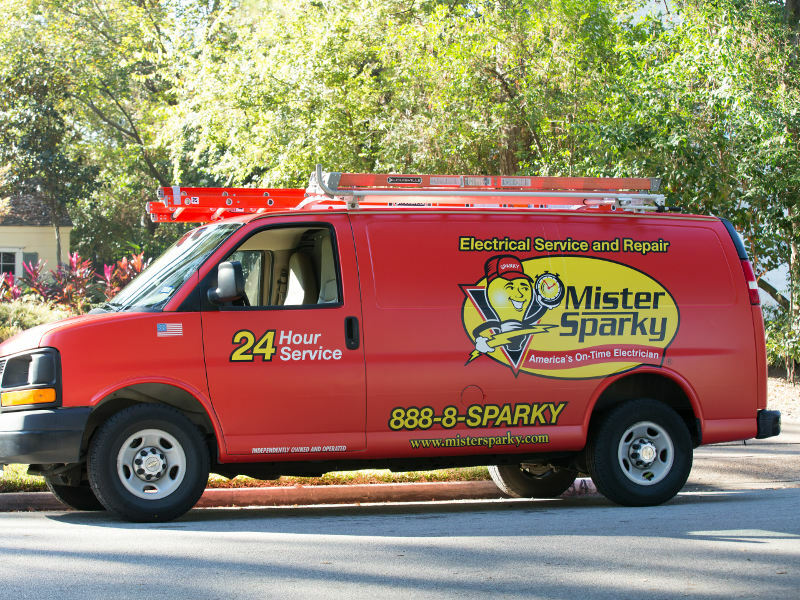 Need an Emergency Electrician? Contact Us Today! 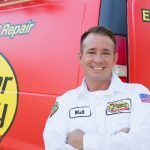 Should You Call an Emergency Electrician? If You See One of these Signs, the Answer is Yes! 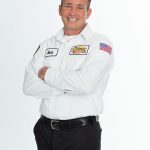 Our experienced team quickly arrives, diagnoses the problem, resolves the most critical concern promptly, and then discusses their recommendations and any options you may have once the area is safe for you and for them. This could be as minor as replacing a burned-out outlet or as complex as upgrading a failing fuse box with a modern circuit breaker system, rewiring the home, or replacing a burned-out circuit box. We can also discuss other upgrades that you are interested in, such as adding whole-house surge protection, upgrading the wiring for a home office or media room to handle the added power load, protecting you from power outages with a generator, installing lighting or ceiling fans, and/or installing smoke detectors. 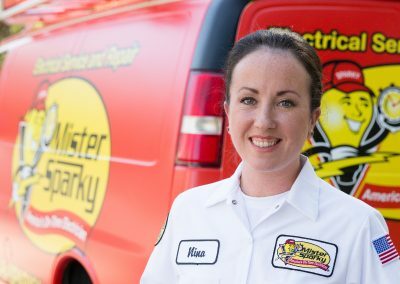 Your satisfaction is guaranteed – that goes for the overall experience, the professionalism of the emergency electrician we send to your home, and the promptness with which they arrive. 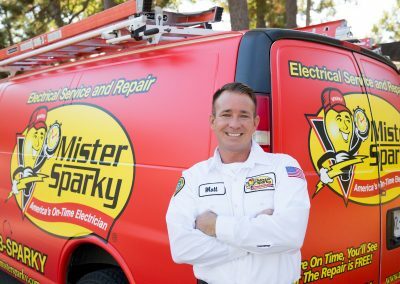 To ensure the latter, you should know that at Mister Sparky by Wise Electric Control Inc., “We’re On Time, You’ll See, or the Repair is Free!” In the 30 years we have served the community, we have developed a stellar reputation for quality, professionalism, integrity, and community support. 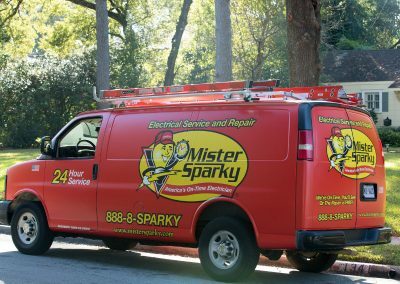 If you need an emergency electrician, you can rely on us to assist you in Charlotte, North Carolina as quickly as possible. With our industry-leading warranties and guarantees, you have nothing to lose by turning to us for your electrical needs. Call us today to learn more about the many ways we can employ our state-of-the-art techniques and quality products to improve your home. 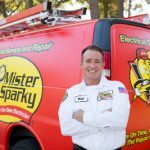 At Mister Sparky by Wise Electric Control Inc., our emergency electricians serve Charlotte, North Carolina and all surrounding areas, including (but not limited to) Cherryville, Concord, Cornelius, Davidson, Denver, Gastonia, Huntersville, Indian Trail, Matthews, Mooresville, Troutman, Hickory, Lenoir, Newton, Sherrills Ford, Morganton, Terrell, and Statesville. Call on Our Team When You Want the Job Done Right the First Time. 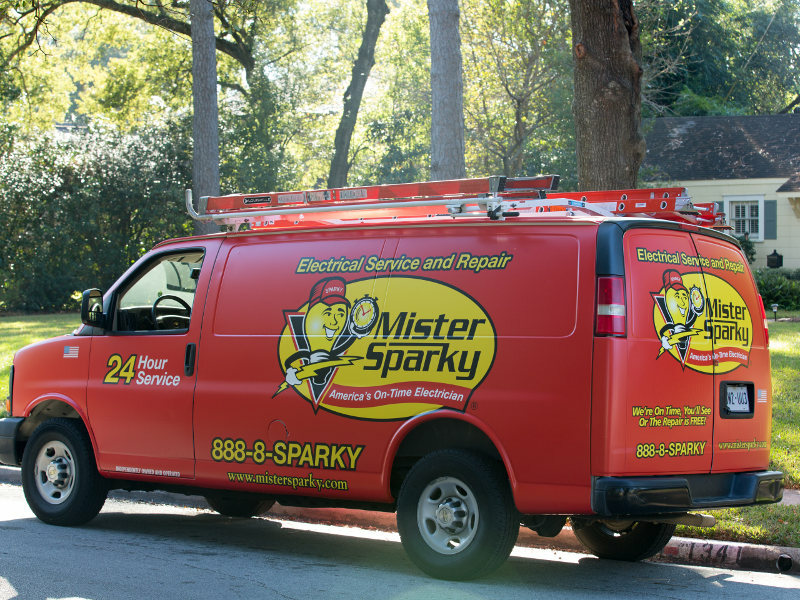 Book Your Emergency Electrician Today.